Nobody quite knows what it's for (yet), but according to Android Police, Fuchsia can run on just about any kind of device. For years, Google has developed two operating systems side-by-side in Android for mobile devices and Chrome OS for laptops and desktops. But it looks as though Google now has a third operating system project underway known as Fuchsia. Although Google isn't revealing much, Android Police dug into the documentation for the project on GitHub and discovered more details about the OS. The biggest takeaway, Android Police notes, is that Fuchsia's kernel, known as Magenta, is designed to work across a wide range of devices—from small "embedded devices" all the way up to desktops and laptops. In addition, Fuchsia makes use of Google's Dart programming language, as well as the company's Material Design-friendly Flutter user interface framework. 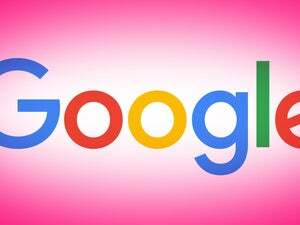 As you might guess, there's plenty of speculation as to what Google plans to do with Fuchsia. Android Police's Corbin Davenport says it could be a future replacement for both Chrome and Android, an OS built for devices like the Chromecast, or just a side project that may not make it into any Google product in its current form. But Fuchsia may rekindle earlier speculation that Google is trying to unify Chrome OS and Android in some way. Last October, reports indicated that Google is plannnig to merge Chrome OS into Android and would introduce the resulting new operating system in 2017. Google denied that it would kill off Chrome OS shortly thereafter, but that doesn't rule out the possibility that the company wants to bring the two operating systems closer together. One possibility I see is where Google uses Fuchsia instead of Linux as the underpinnings for next-generation versions of Chrome OS and Android. That is, both would use some form of Fuchsia—or the Magenta kernel—as the underlying basis of the two operating systems (as well as the operating system for other Google devices such as the Chromecast). Under such a scenario, Fuchsia wouldn't be a replacement for Androuid and Chrome OS in of itself. Instead, the two OSes would live own with their own branding, their own interfaces, and their own features tailored to whatever device they're designed for. Of course, whether that actually happens is anyone's guess, but given Google's existing efforts to tie together its two operating systems, it seems well within the realm the possibility. Disclosure: The author of this article provides copywriting services to TechSoup, a nonprofit organization that provides services to Google's philanthropy programs. His role at TechSoup does not influence his work for this publication.